Have a glance at home made Klingon LED coffe table which reminds about classiest Star Trek Home décor items. 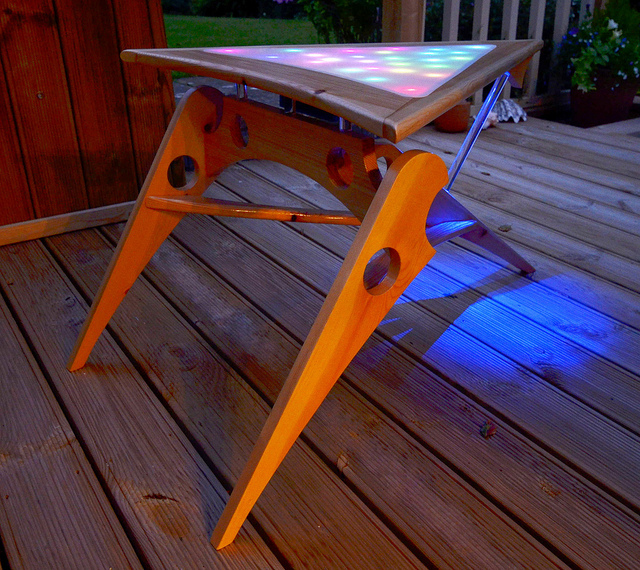 This is really fantastic table which lights up LED’s underneath the acrylic top sheet. 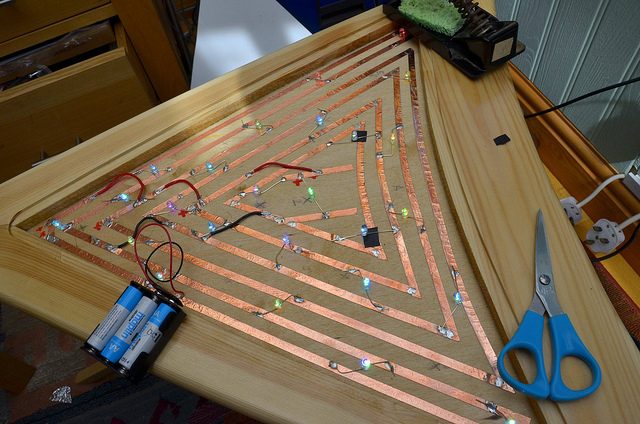 Totally 26 flashing RBD diodes and one blue LED are lit to get make this amazing.